Udemy is a great platform to learn almost anything. It has lots of courses in various categories. It is free platform but some of the courses are free and some you need to buy. From today, I will be sharing free udemy coupons on our blog. There are courses from so many categories like Business, Personal Development, Programming, Design, Technology, Languages, Health and many more. But I will be sharing mainly those courses which are related to technology, programming, hacking and others. If you are interested in any other courses then you can let me know in comments. In future, I will share free udemy coupons on other categories as well. But for now, we will share technology related courses. This post will be a single place for all courses coupons. Whenever a new course is available, I will update the post according to dates. Coupons codes are for limited time only. So whenever courses are posted, be very quick and enroll as soon as possible otherwise the coupons will expire. If any of your friend needs courses, then share this post with them on social media. Join our newsletter, whatsapp broadcast and follow us on Instagram for latest post updates. Am Benjamin and I’m very interested in the courses listed above and I want to know how I can register to those courses and be part of the school. First, you can register at udemy.com and then enroll in the courses. But be quick because coupons expires very soon. 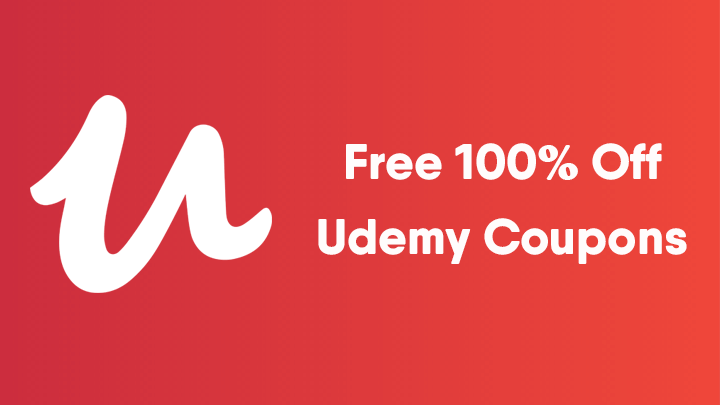 Subscribe to receive daily free 100% off udemy coupons. Do You Love Free Udemy Coupons? Why not get updates when we post new udemy coupons!